Next to my toilet, in the bathroom, I have a book which was given to me by my good friend Danny Kam. 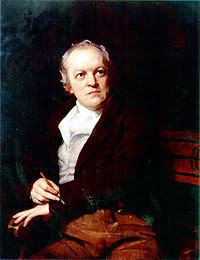 It's the complete works of 19th century poet William Blake and just about every morning, while I do that which is natural among all people, I read maybe a page of it. Today I read a quote which said that if someone is "in Evil" now, if they are perpetuating evil in the world now, they shouldn't expect to be out and to find harmony later. The culmination of the passage was this, "if Evil be not removed in the World, it cannot be removed afterwards." I was reminded of a quote from Rob Bell which said, "perhaps the flames of heaven are hotter than the flames of hell." What Bell and Blake are getting at is that it's at least a funny assumption to believe that we will, after death, just all of a sudden start loving a bunch of things we hated in life and hating a bunch of things we loved. It's strange to think that when we die we will become all different people and our "earthly" life will carry no real repercussions into the "next life." Our belief in heaven does not let us "off the hook" when it comes to living and moving toward God's Kingdom here and now. On the contrary, it empowers us. It is precisely because we believe in heaven and have a vision of things to come that we can live and move toward the good and away from "Evil." It is because we believe in heaven that we live towards heaven in the here and now! I'm glad that you enjoy the book.